Dear Friends of Tun’Up Munich! It's free of course, except the travel costs, which would be around 15€ depending on the number of participants + 5€ to 10€ donation. The donation is of course on a voluntary basis! 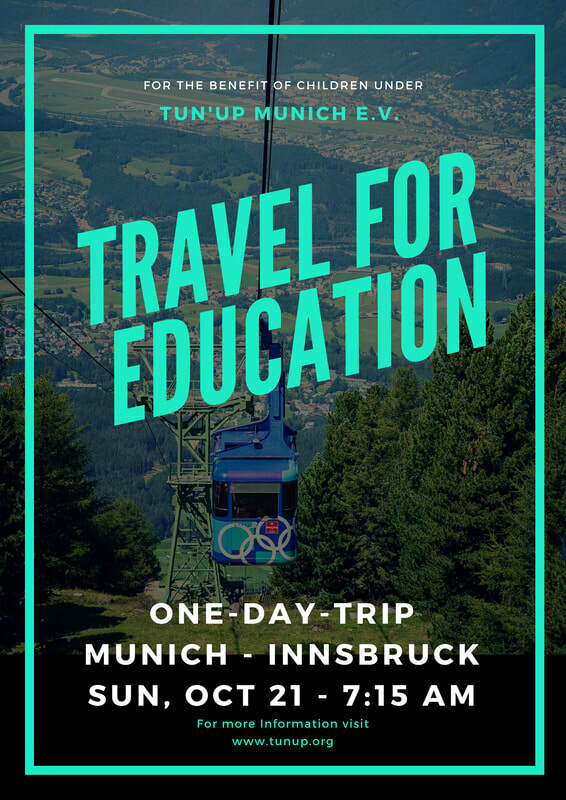 Depending on the number of the participants, we will try to do the Innsbruck-Hungerburg Round Trip, which will cost around 9€ (https://bit.ly/2E0wjvU). WHEN: Sunday 21. Oct at 07:15 am. It's an open invitation to everyone! Please drop us a line on our page in case you're coming and fill out the form below. Here’s Maher's number 017670383209 in case you needed to get in touch!